Government has failed at responding to youth unemployment adequately, says Percy Moleke of the Department of Planning, Monitoring and Evaluation in the Presidency. 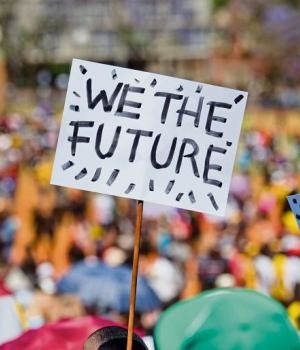 Speaking to Fin24 on Monday, she said, "If you look at our 'active labour market policies', you will see that they are not really responding to the actual challenge of youth unemployment. So, we actually don’t really have 'active labour market policies'." Moleke was speaking on the sidelines of the Accelerating Inclusive Youth Employment conference, which concludes today. She said government was caught between a rock and a hard place when it comes to youth unemployment. On the one hand there was a a concern about skills shortages in the country. On the other hand, to respond to the skills shortages, government says an expansion strategy is needed - yet, inclusive expansion is very limited if one can only draw from the small pool of young people who matriculate each year. No one social partner, organisation or entity can solve the problem of youth unemployment in SA on its own, she said. "Young people’s pathways from learning to earning are disjointed and costly, leaving millions [unemployed or millions who are not] undergoing any form of education or training," said Moleke. "Youth unemployment is a very dynamic challenge with so many nuances. Youth with a particular set of disadvantages will not be 'pathwayed' to those jobs even if more jobs are created in the country." In her view, government has not been doing well on this front and had given mostly passive support. "As government we, therefore, need to partner and review our response to youth unemployment in order to make it relevant - including in the short-term. It is both a policy and a funding matter," said Moleke. "We need to sit back and ask what the reality is that these young people are facing and how we should respond in terms of skills training programmes. A multi-prong strategy is needed to build on." She would, therefore, like to see employers also consider a young person's potential when hiring and not just at skill. A company can then upskill that person to ensure they are employable, she said.